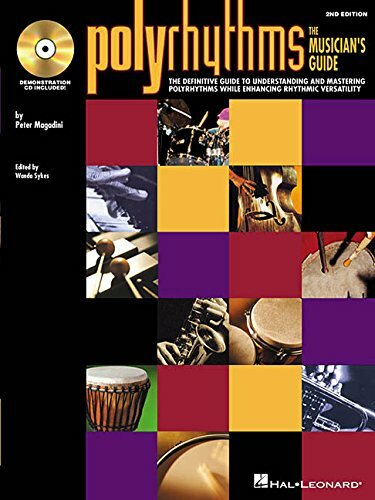 Polyrhythms is acclaimed the world over and has been hailed by Modern Drummer magazine as “by far the best book on the subject.” Written for instrumentalists and vocalists alike, this book/CD pack contains excellent solos and exercises that feature polyrhythmic concepts. Topics covered include: 6 over 4, 5 over 4, 7 over 4, 3 over 4, 11 over 4, and other rhythmic ratios; combining various polyrhythms; polyrhythmic time signatures; and much more. The CD includes demos of the exercises.